Once upon a time in Eastern Uganda, there was a very tall man – over seven feet tall. Parents used to tell their children about him. The conversation between one Ugandan father and his son led to this story in Lusoga. 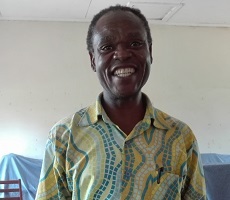 Dr Cornelius Gulere is a Lusoga language and oral literature specialist, and has a number of publications to his name, including stories in Lusoga (see his blog). 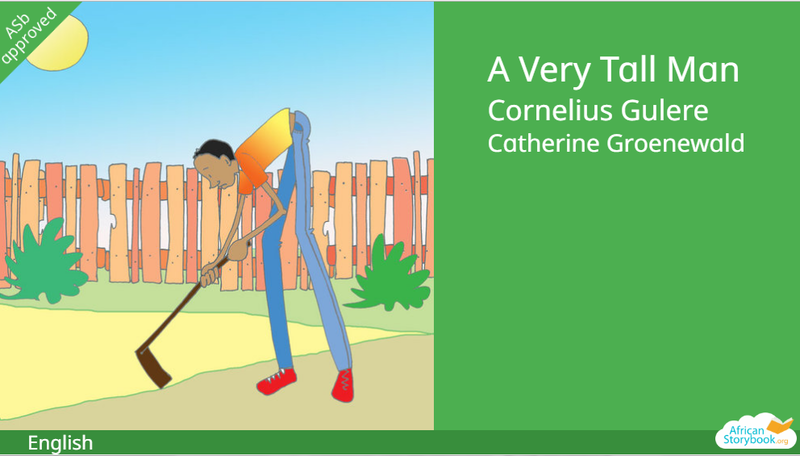 In 2013, Cornelius was introduced to the African Storybook through the Ugandan Community Libraries Association (UgCLA), with whom African Storybook was working to stimulate local language story development in Uganda. With workshop expenses covered by African Storybook, Cornelius ran a story development process with nearly 200 school teachers and librarians associated with 10 UgCLA libraries, all of whom were good story-tellers, but most of whom had had no experience in story writing. Over 200 stories in Lusoga, Luganda and Lusamia were generated, 40 of which were edited and submitted to Saide. African Storybook commissioned a local South African illustrator, Catherine Groenewald, to illustrate this story – she had great fun, and really drew out the humour in the story. When we used this story with student-teachers at the University of Pretoria, their comments highlighted the main message of the story: the problem-solving capacity of the man. He started off by blaming his hoe, his doorframe, his bicycle, his bed, but ended by solving his own problems and living happily in the forest in a very tall house. 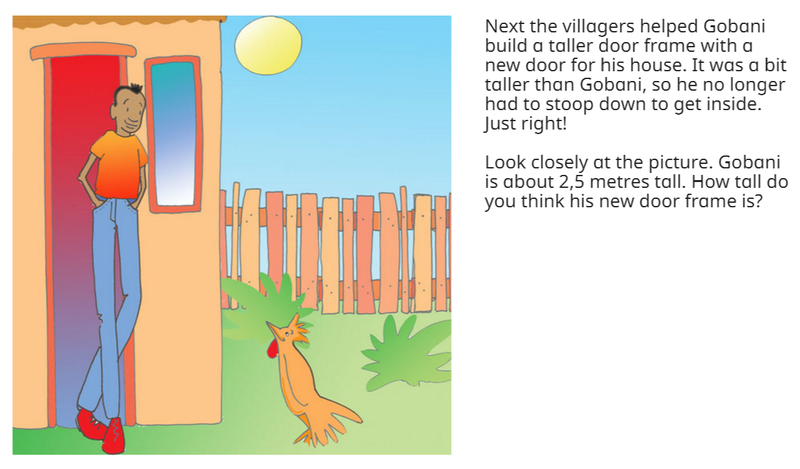 We have also adapted the storybook to bring out its potential for learning Mathematics, in this case, the skill of estimation in measurement. See the version called Thimba to the Rescue. The beauty of the open licence is demonstrated well through what happened to this story. The back page of the storybook allows free use, translation and adaptation of the story, with the proviso that you attribute the contributors, publisher, and original source. The copyright is shared between the Uganda Community Libraries Association and the African Storybook. On the African Storybook website, there are versions of A Very Tall Man in 25 languages from Ethiopia, South Africa, Uganda, Niger, Ghana, Rwanda, Kenya, Tanzania and Zimbabwe. The story has also been re-published by World Reader, where it was read by people from 49 countries in the first six months of 2017. It is also published on SIL's Bloom Library and Fundza. The story has had a remarkable journey and we invite you to enjoy other stories created by the partnership between Cornelius Gulere, the Ugandan Community Libraries Association and African Storybook.